This is about reusing an old wire based motorcycle intercom headset with android mobile. With intercom app in android, and with bluetooth, it is possible to use it for intercom between android phones, or even use it for phone calls. There are typically 2, 3 or 4 poles in the 3.5mm connector (figure below). An intercom headset has a 3.5mm plug with 3 poles, with non-standard audio-microphone (mono) connections. An “easy” way to figure out the microphone and audio poles, is to measure the resistance. For the audio circuit, the resistance is low while for the microphone circuit the resistance is much higher (in this case it was close to 1k). The table below shows how poles should be connected by an adapter cable. Since the intercom is mono only, I did not connect the left audio. In the figure, left hand side shows the intercom headset. 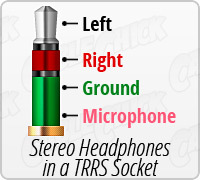 This type of headset fits easily inside the motorcycle helmet. In the middle is the 3-pole female plug, and on the right is the 4-pole male plug with cable. The same result can be achieved without soldering by using several adapters. 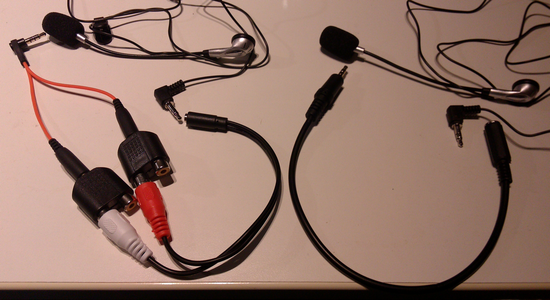 Starting from the intercom end, first the poles are split into RCA connectors, and before connecting them to 4-pole adapter, only the correct channels are connected. 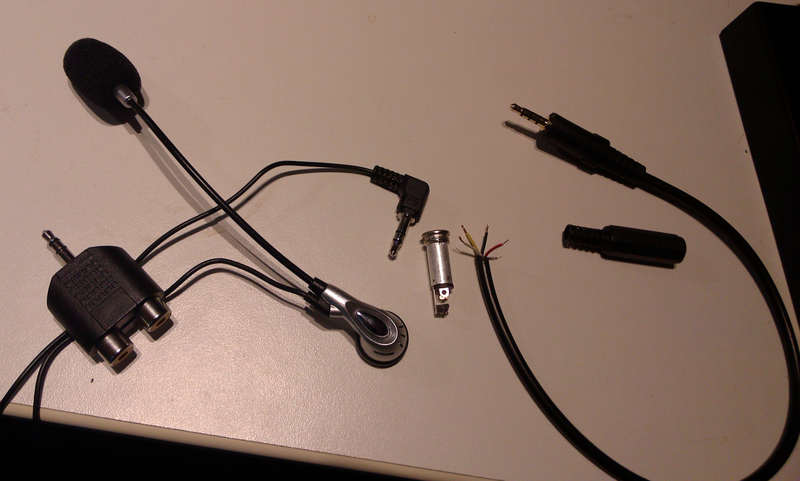 In the figure, the left side is showing how it looks when using adapters, and the right when using do-it-yourself (DIY) cable. Intercom has been working well with this setup. This entry was posted in Android, Audio and Video, DIY, For Fun or Interest, Hobbies and Other Interests, Tests, Tips. Bookmark the permalink.